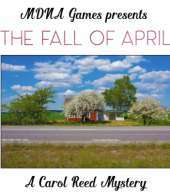 Carol agrees to help a friend of a friend, Andrea, who has suffered a temporary drug-induced memory loss in this 14th game in the series. Carol’s investigations quickly lead her to the unsolved murder of Andrea’s daughter two years ago. The murder has remained unsolved, but when connecting it to the recent events Carol discovers close links to a Swedish Arctic balloon expedition carried out in 1915.